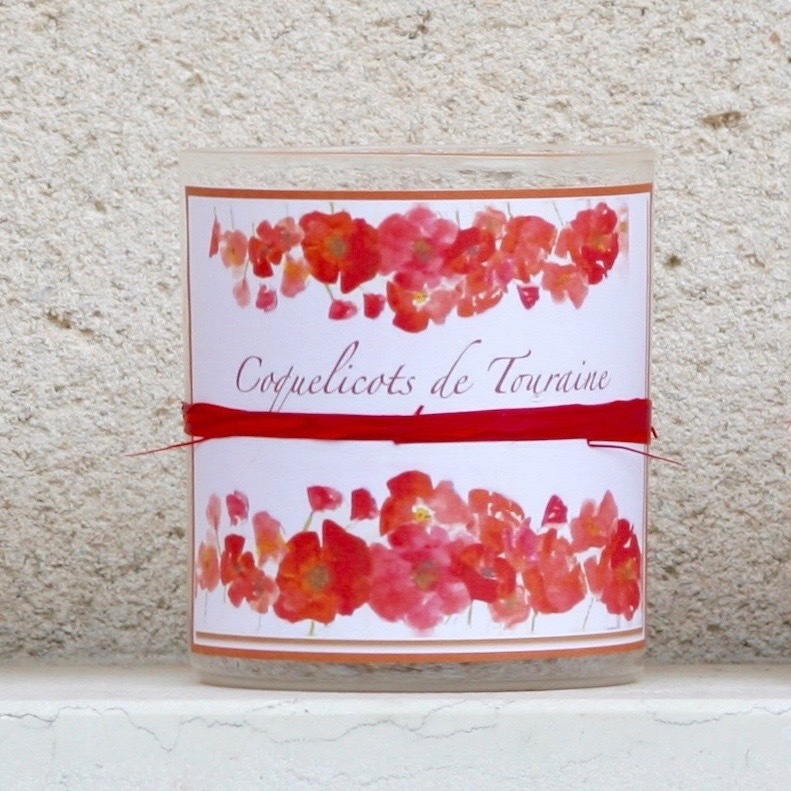 Scented candle COQUELICOTS DE TOURAINE with natural soya wax and french perfum of Grasse. 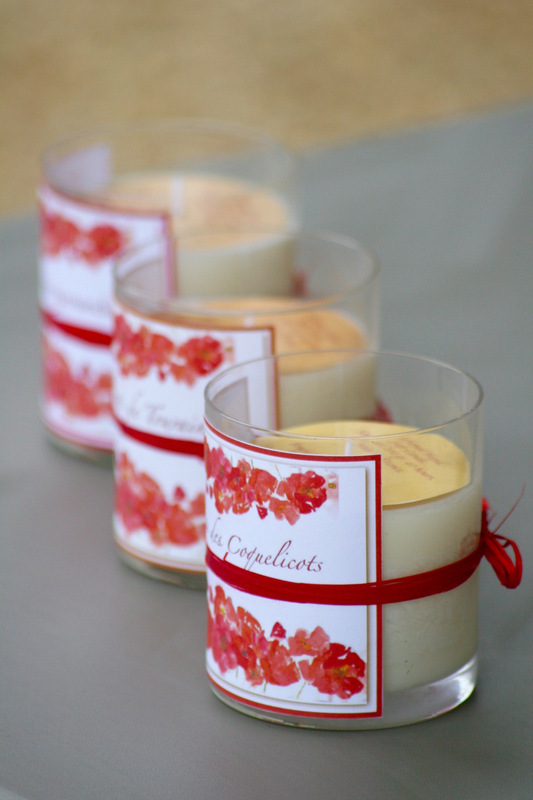 The workshop ISABELLE EN TOURAINE product scented candles in Loire Valley "The Valley of the french kings". Find the estival notes flowered on a bottom of cut hay. Natural soya wax 180 gr.